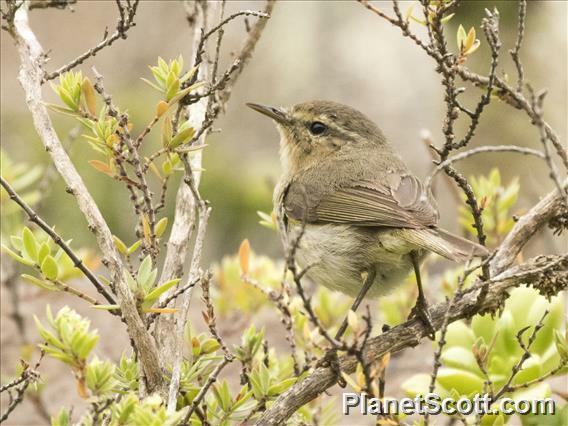 Phylloscopus canariensis is endemic to the Canary Islands, Spain. There have been no recent records of the Lanzarote subspecies exsul, which is likely to be extinct (del Hoyo et al. 2006). Much shorter bill than the rest of the chiffchaffs I saw.